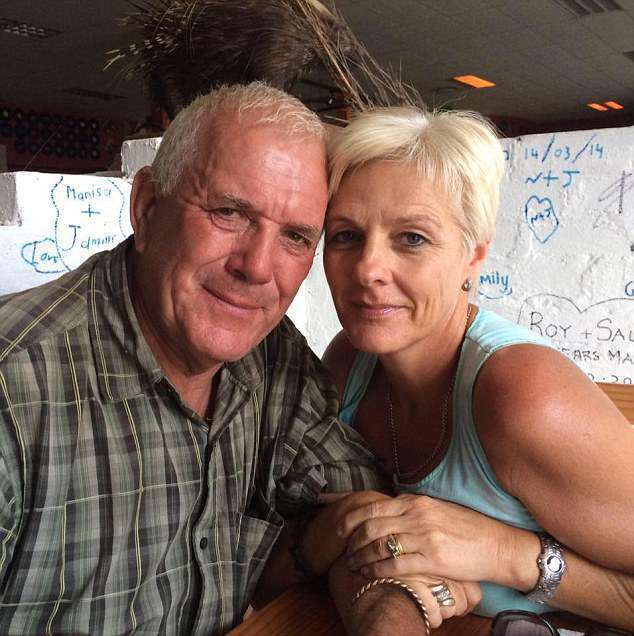 The 67-year-old man mauled by a huge male lion in South Africa is the wildlife park's British owner, it has been revealed. Mike Hodge was rushed to hospital with injuries to the neck and jaw following the shocking incident caught on film. 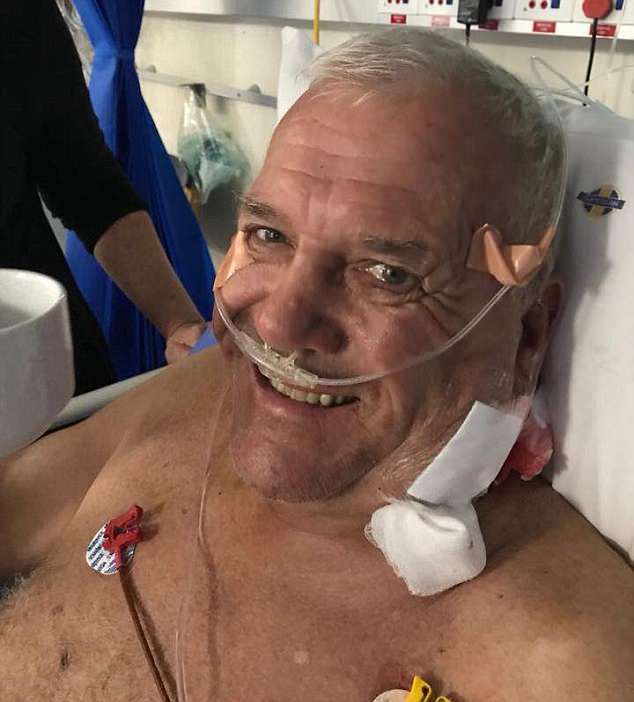 Pictures shows Mr Hodge smiling in his hospital bed despite his injuries, with a friend telling The Sun that he is recovering from the dramatic ordeal. 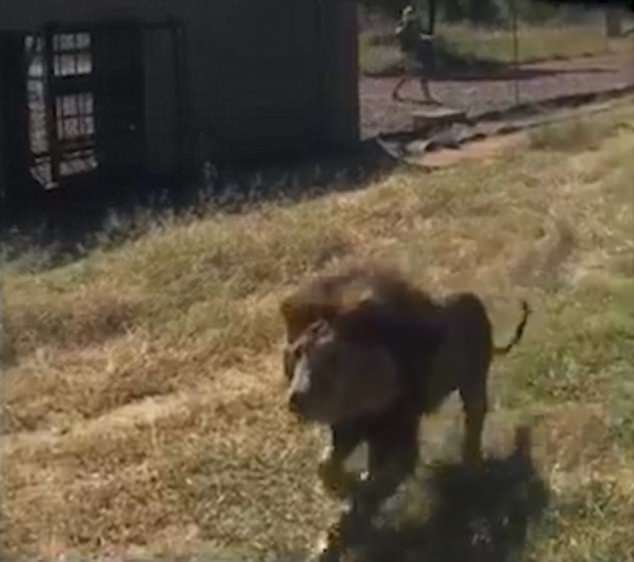 The video of the attack, filmed at the Marakele Predator Park in South Africa, shows Mr Hodge entering the lion's enclosure. 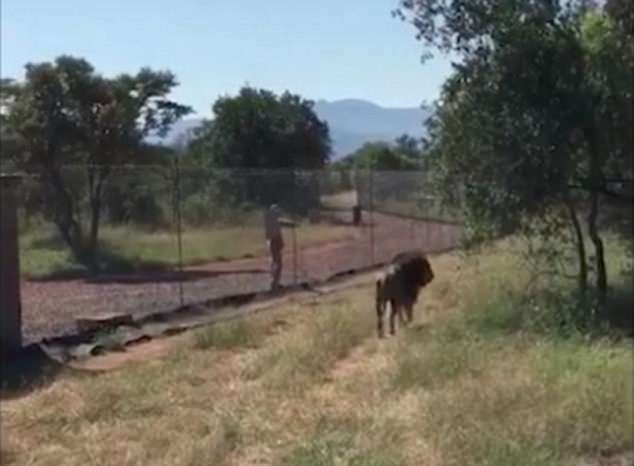 'Mike and one of his rangers were a little concerned about a smell in a compound that was upsetting one of the lions and had gone in through the gate to see what was causing it,' the friend told The Sun. 'He is no fool around lions and knows how to interact with them but clearly something went wrong'. 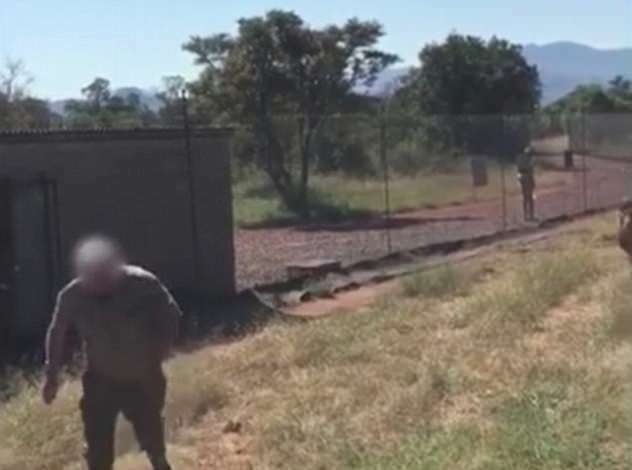 Witnesses watch in horror as the animal pursues him towards the metal door to the pen - at the park nine kilometers from Thabazimbi. Onlookers scream as he is dragged back by the beast. The hulking animal claws at the man - who goes limp in its grip. 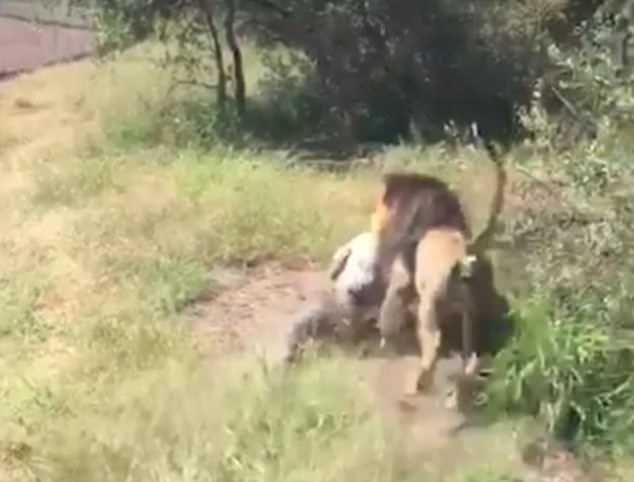 The lion drags the man farther into the enclosure, into some bushes and onlookers scream for help. Then, suddenly, a shot rings out - thought to be from a warden's gun. The lion drops its prey and runs for cover. A woman is heard howling in horror at what she has just witnessed while another man is heard shouting 'get a rifle'. The big cat is thought to have been put down in the wake of the grisly attack. Marakele remains closed in the wake of the attack while Chrissy was belived to be too upset to comment. Marakele Predator Park was established in 2010 by Mr Hodge and his wife Chrissy after they emigrated from the UK, according to its website. They moved to South Africa in 1999 and started a lion conservation project in 2003 on a farm 30kms from Thabazimbi. A few years later they relocated to the town in the Limpopo province and founded the Marakele Predator Park. Their current site has over a dozen big cat, including white lions, cheetahs and two Bengal tigers. Guests can stay in safari tents and each night they 'will be able to hear the lions roar, hyenas laugh, and jackals calling'. Tents are furnished with double or single beds, and each one has an en-suite bathroom with a shower, the website reads. 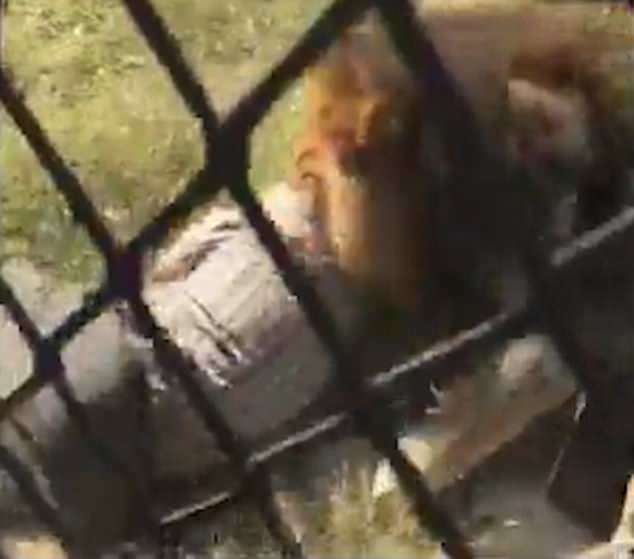 The video sparked debate on social media, with some criticising the man for entering the enclosure. One viewer questioned why he had ventured so close to the big cat. 'Why was he inside the enclosure? That's insane!' Claire Allen wrote. Another commented on how the lion was just acting according to its animal instinct. Debbie Wagner said: 'So sad that the lion is only doing what comes naturally to him. 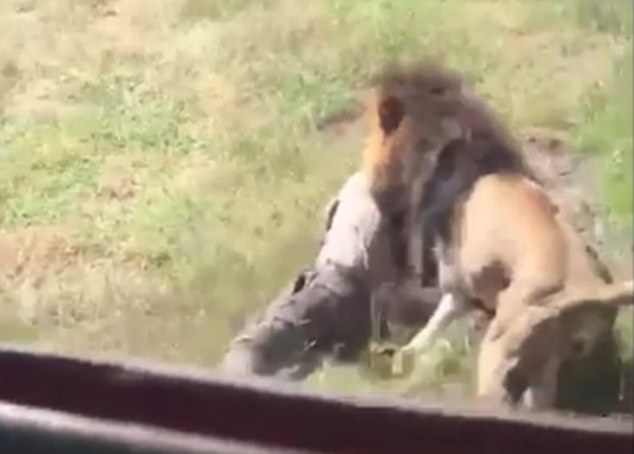 This lion is DESPERATE to 'cuddle' his baby visitor at the zoo!